They’ll make sleeping even better. Your sheets are totally covered in sweat. But no, you weren’t experimenting. Waking up in a puddle of sweat is gross when you’re alone, but it can be downright embarrassing when you’re not. Unfortunately, night sweats are pretty common — in one study, 41 percent of participants reported experiencing night sweats. The bottom line: It’s normal to sweat while you sleep. Perspiration is your body’s way of regulating its temperature. Sweating actually helps your body cool itself down. To decrease your chances of finding yourself in an uncomfortable or cringe-worthy situation, consider swapping out your bedding for cool bed sheets. No matter how chic your sheets are, if they’re made of synthetic fabric, they may actually be causing your night sweats. According to the National Sleep Foundation, choosing natural fabric — think bamboo, 100 percent cotton, or linen — can help you sleep better. These fabrics are much more breathable, and let air circulate. Also consider thread count: Even though a higher thread count sounds better, anything over 400 has a tendency to trap heat. 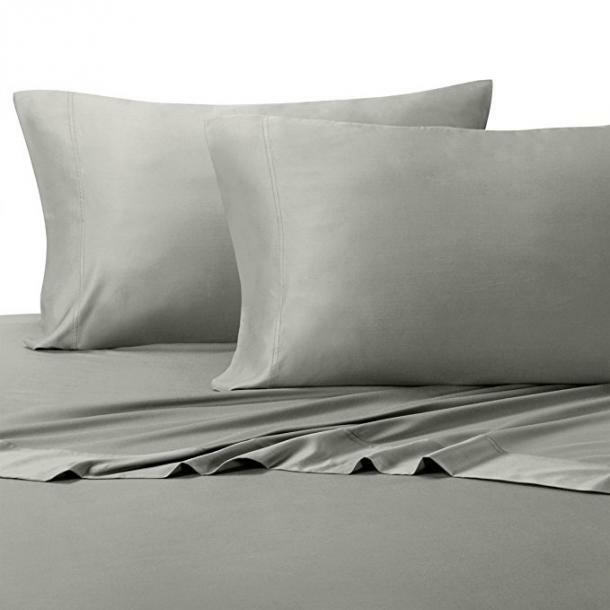 For luxuriously smooth sheets that won’t cause a bout of sweating, try a thread count between 200 and 400. 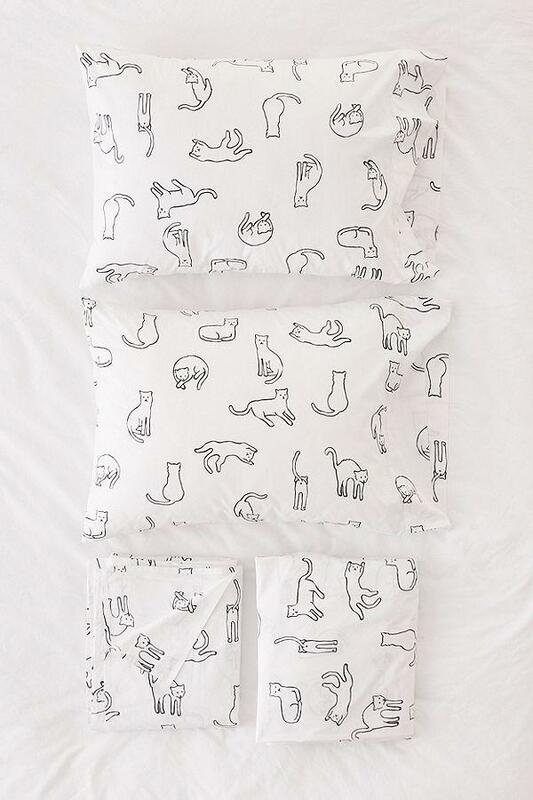 Here are 20 cool bed sheets and sets to give you a good night's rest that's also incredibly soft. In a gorgeous blue-green hue, these 100 percent linen sheets have a luxurious texture and won’t trap heat — even if you and your partner happen to be creating a lot of heat. 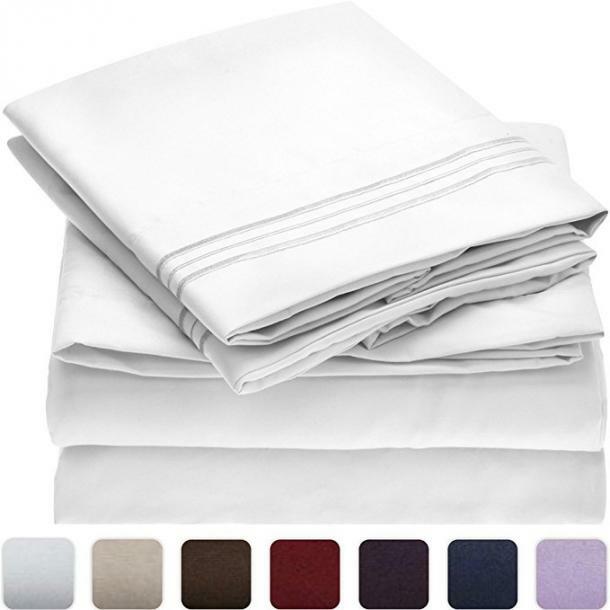 This upscale sheet set includes a duvet cover and two pillowcases. It’s available in even soft, muted colors, but you can’t go wrong with a crisp white. 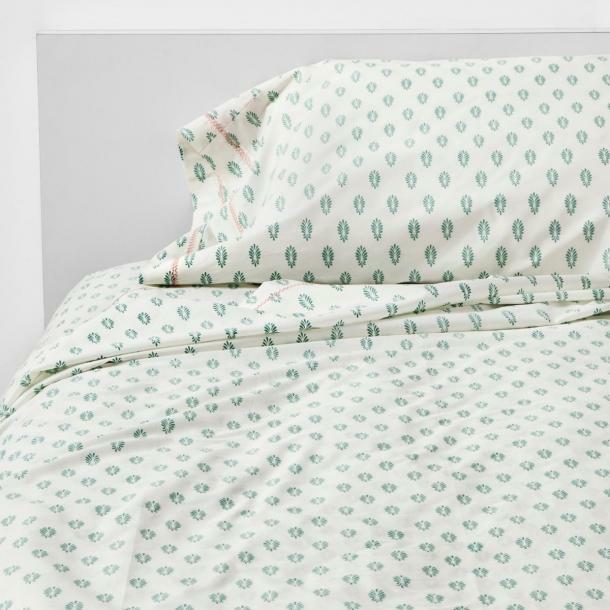 This fun, trendy sheet set is proof that you shouldn’t have to sacrifice style for breathability. 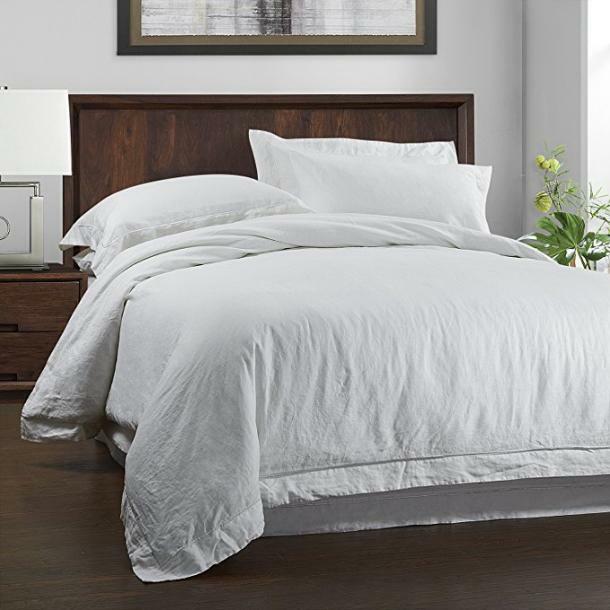 This 100 percent linen pick features an attractive watercolor print, but is also hypoallergenic and antimicrobial. 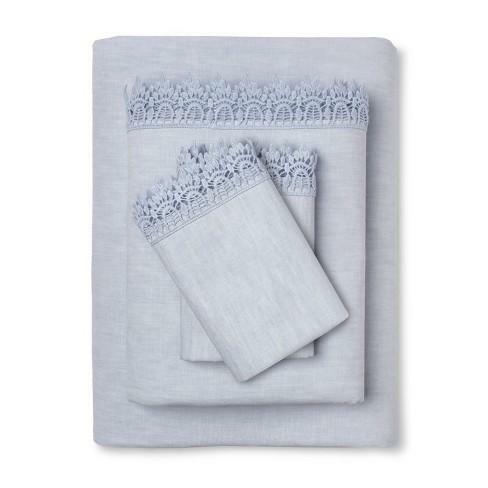 This set includes a flat sheet, a fitted sheet, and two pillowcases in a blend of cotton and linen, all with a feminine crocheted border. 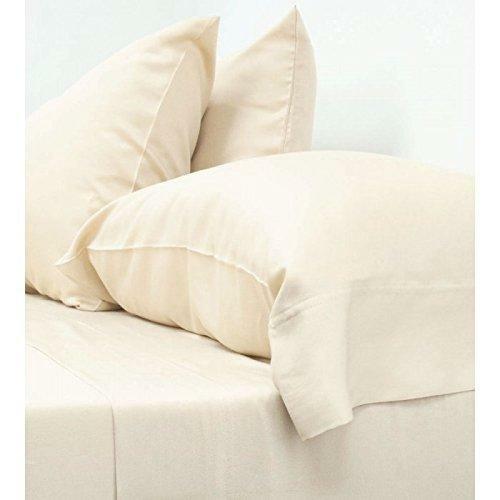 Like the bedding in a five-star hotel, these sheets are soft, crisp, and oh-so-luxurious. Don’t blame us if you start missing your alarm. 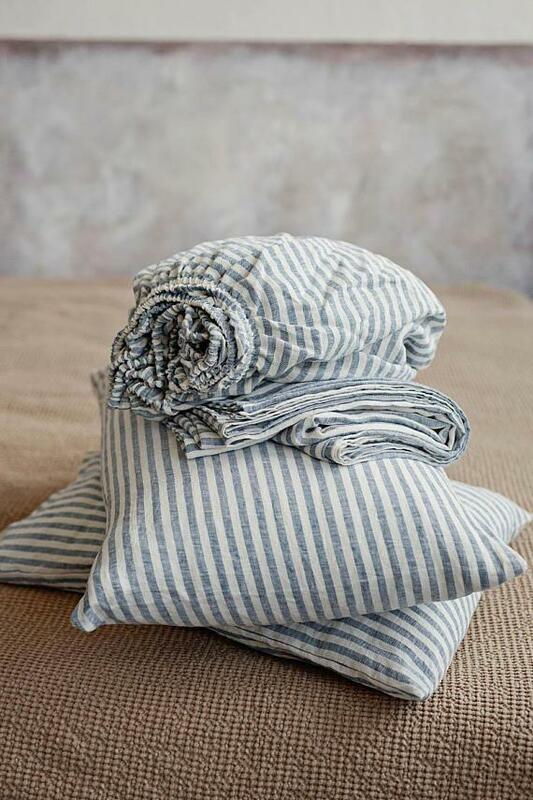 Like the Parisians, this beautiful blue striped sheet set seems to do everything right: It’s stylish, comfortable, and made with high-quality, environmentally-friendly linen. 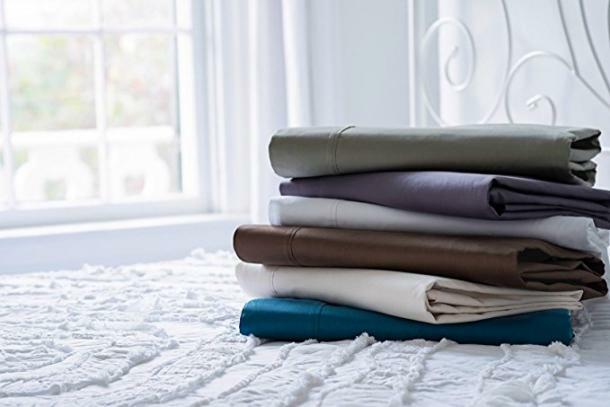 More than 29,000 reviewers gave these microfiber sheets five stars, and it’s easy to see why: they’re breathable, wick moisture, hypoallergenic, stain-resistant, and come in 37 colors and patterns. Made from a high performance, athletic grade smart fabric, these moisture-wicking, antimicrobial microfiber sheets are a great choice for anyone who runs hot. Try them free for 30 days. Available in 21 colors. 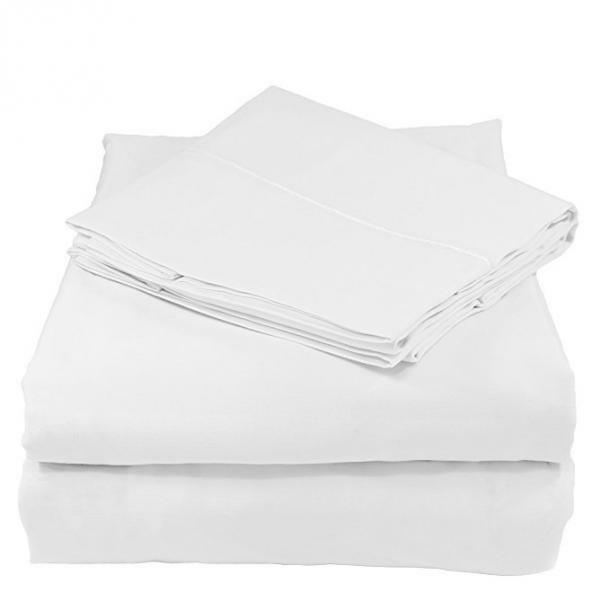 A light twill weave ensures these eco-friendly sheets are lightweight and breathable, but durable enough to withstand repeated use and frequent washes. 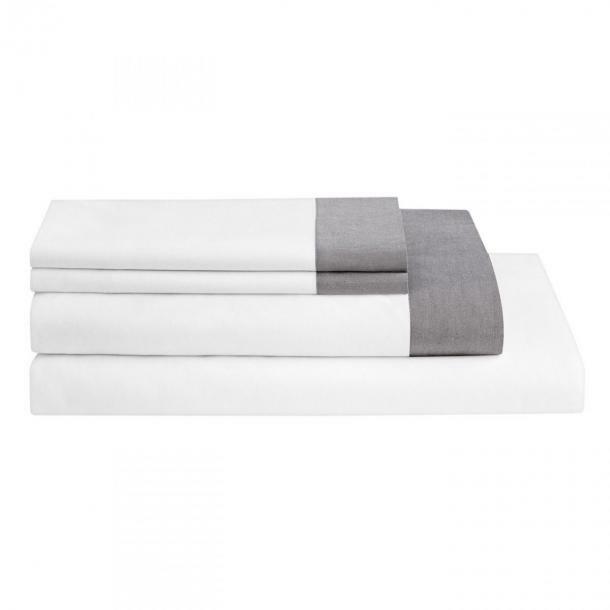 Naturally breathable and moisture-wicking, these bamboo and cotton sheets are designed to keep you cooler and drier all night long. They’re resistant to dust mites, too, so people with allergies can breathe easier. 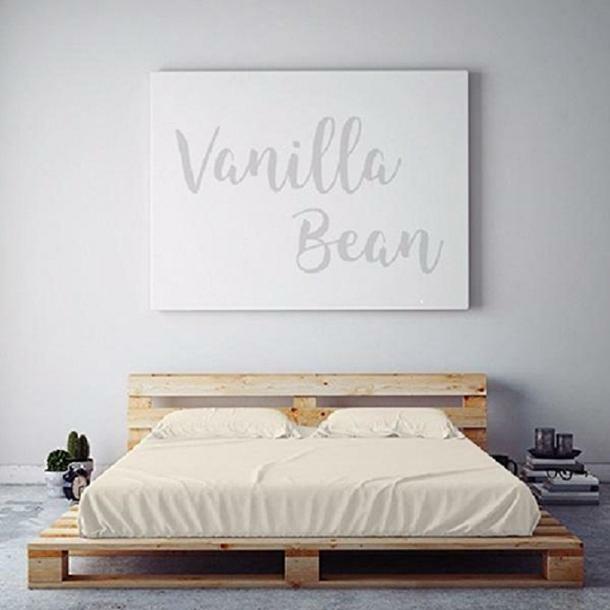 Made from an irresistibly soft and luxurious natural bamboo viscose fabric that's softer than cotton, these sheets might just be the most comfortable sheets in the world. You know that chambray shirt you basically live in? Now you can rest your head on that same cozy fabric. 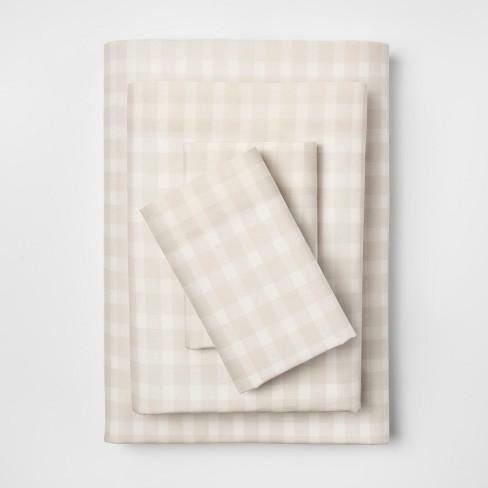 These gorgeous sheets deliver on both style and comfort. Didn’t make it to Coachella this year? 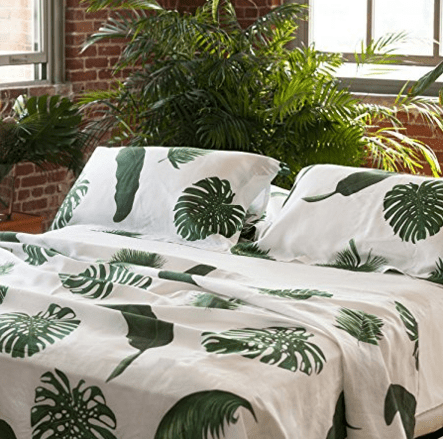 These soft, breathable 100 percent cotton sheets bring that Palm Springs vibe straight to your bedroom. From the makers of one of the most comfortable mattresses available, some of the most comfortable sheets you can buy. Choose from five classic color combinations, but know any choice will get you high-quality sheets that won’t trap heat. You don’t have to spend a fortune to get a good night’s sleep. 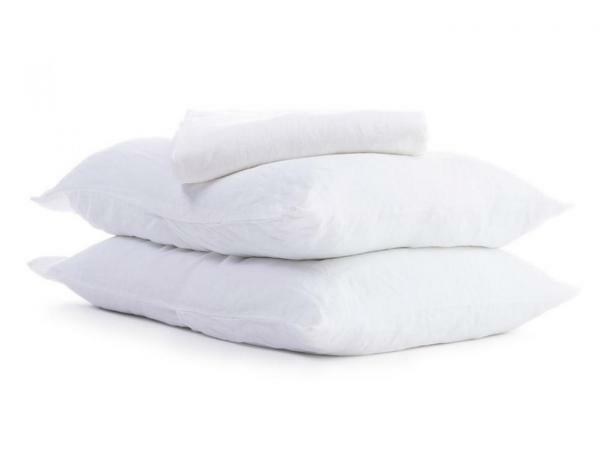 These set includes a fitted sheet, a flat sheet, and a pillowcase for less than the price of one spin class. More than 85 percent of reviewers gave these sheets four or more stars. Why? They’re made with super-soft 100 percent organic cotton to help regulate your body temperature on even the hottest nights. 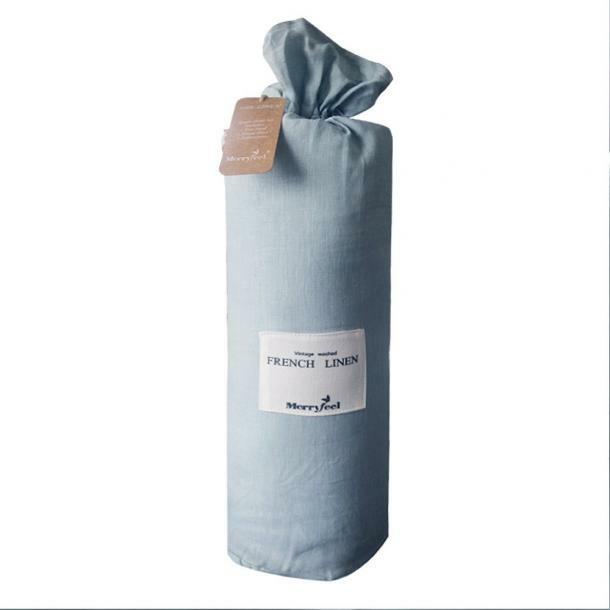 Rest easy knowing that these 300 thread count organic cotton sheets will keep you cooler in the summer and warmer in the winter. 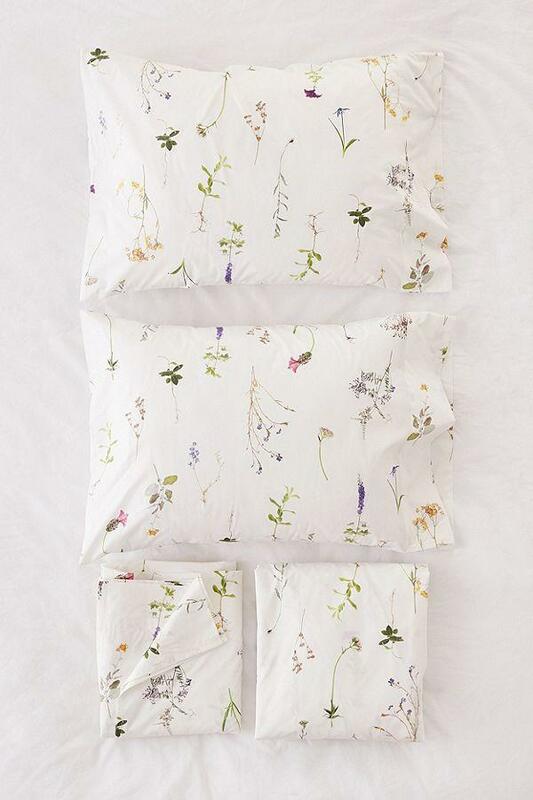 The luxurious fabric glides over skin and gets softer with every wash.
A 100 percent cotton construction will help you sleep soundly at night, and a gorgeous allover print made from photographed wild flowers will up your bedroom’s aesthetic. 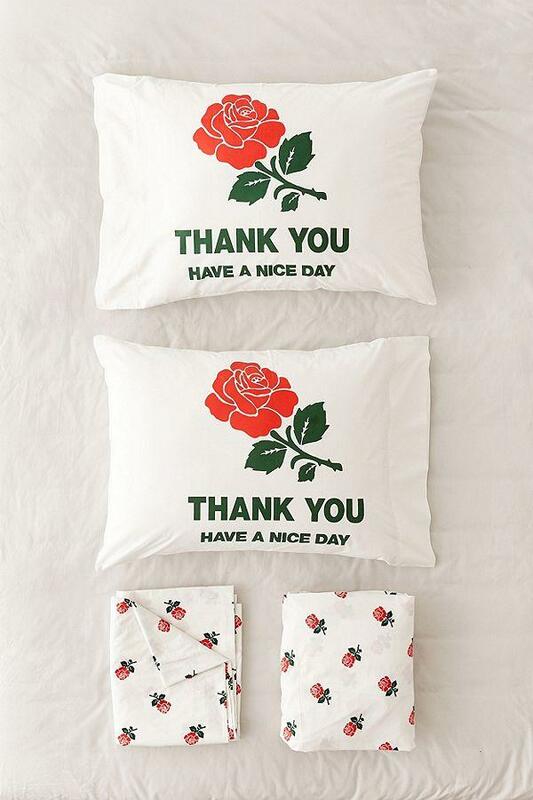 The pillowcases offer a not-so-subtle message to any hookups waking up in your bed, and you can’t beat the super-soft 100 percent cotton construction. If your bed has anything to do with it, they’ll be back. 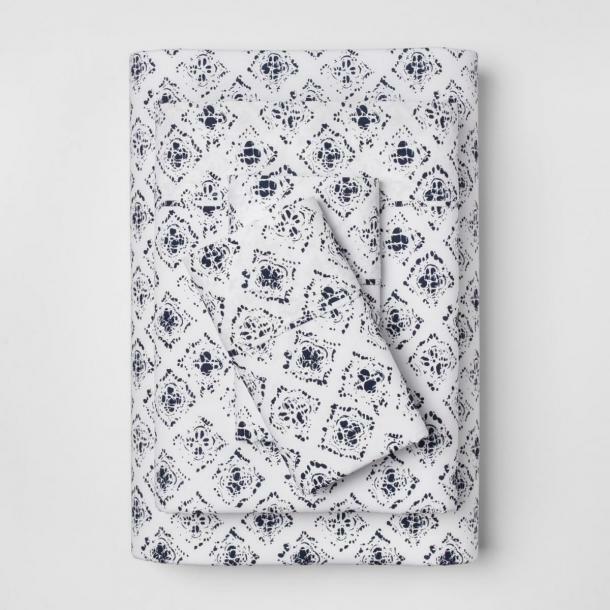 If Friday nights are more Netflix and chill, less champagne and dancing, these soft cotton sheets are for you. The black-and-white graphic print is fun, but subtle enough to match your decor. Brigitt Earley is a freelance writer and editor based in NJ. She's a new mom, runs an Instagram account full of the most delicious food she can find, and loves to hate a good barre class. See her work or follow her food adventures @literallyallthefood.